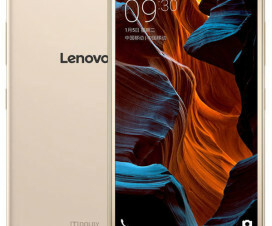 Lenovo as earlier unveiled Lenovo Vibe X2 Pro and Lenovo P90 Android Smartphone and here comes another product from Lenovo, which is Lenovo Yoga Tablet 2. Seeing this we can confirm that Lenovo is having pretty busy CES as it is announcing products one by one. 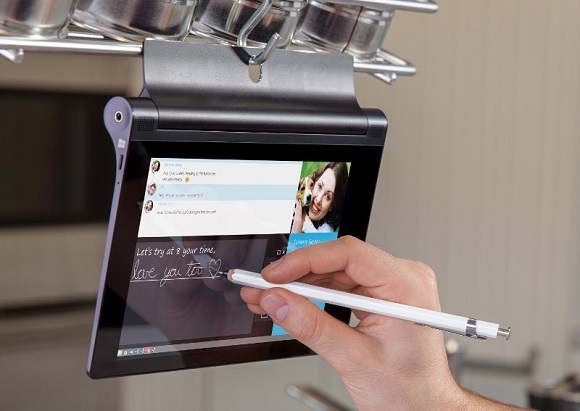 Talking about the Lenovo Yoga Tablet 2, it is a Windows tablet and runs on latest Windows OS i.e., Windows 8.1 and comes with AnyPen technology, this technology allows to use any metal object as stylus for your tablet. Lenovo claims that the screen is quite durable and it can handle the scratches done by a pen or other metal objects like screw driver etc. Lenovo Yoga Tablet 2 comes with 8 inch IPS display with 1920 x 1200 pixels resolution and 10 point multi-touch and 178 degree viewing angle. It can be hanged to a hook as it comes with a Hang mode. 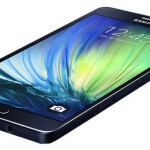 The processor under the hood is 1.8 GHz quad-core Intel Atom Z3745 chipset coupled with 2GB RAM and 32GB on-board storage, which is expandable up to 64GB via microSD. Lenovo Yoga Tablet 2 sports a 8MP rear camera and 1.6 MP font facing selfie camera. It has two front facing audio speakers with Dolby Audio. The device supports Wi-Fi 802.11b/g/n, Bluetooth 4.0 and USB OTG for connectivity and a 6400 mAh battery fits into it, which gives juice to the tablet to run and the company claims that it offers up to 18 hours of usage. Lenovo Yoga Tablet 2 is process for $299, which is approximately INR 18,500 and will go on sale globally at the end of January.